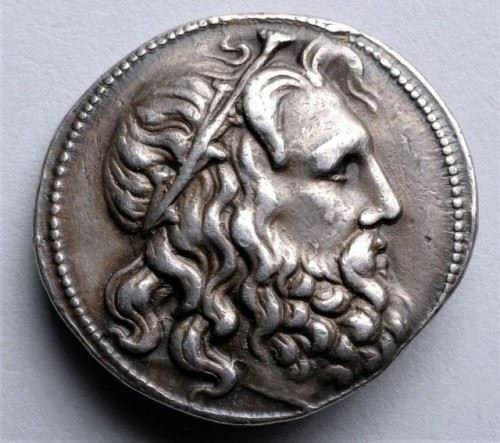 Antogines III was king of Macedon from 229 BC to 221 BC. He was a half-cousin of his predecessor, Demetrius II Aetolicus. When Demetrius II died in battle in 229 BC, his son and would-be successor, the later Philip V, was only nine years old. According to Plutarch, both the Macedonian army and nobility thought the political situation too volatile to wait for Philip V to mature enough to assume command. As a consequence, the Macedonian nobility turned to Doson, who was subsequently made regent of the kingdom and married to his predecessor's widow and the mother of Philip, Chryseis. However, it was only after Doson demonstrated his leadership abilities by succeeding (where his cousin Demetrius had failed) in defeating the Dardanii invaders and also in putting down a rebellion by the Thessalians, and showing his rule to be generally moderate and good, that he was given the title of king. As king, Antigonus III proved to be as much a master of tactical diplomacy as of military strategy. In less than a decade of rule he not only secured the borders of his nation, he also reestablished Macedon as the dominant power in the region.